Measles, "hard measles," and "red measles" are common names for rubeola. One of the great success stories of the last half of the twentieth century has been the dramatic reduction in measles cases by immunizing children with an attenuated vaccine against the disease. Now there is reason to hope that the disease can be entirely eliminated from the world. Measles begins with fever, runny nose, cough, and swollen, red, weepy eyes. Within a few days, a fine red rash appears on the forehead and spreads outward over the rest of the body (figure 22.20). Unless complications occur, symptoms generally disappear in about 1 week. Unfortunately, many cases are complicated by secondary infections caused by bacterial pathogens, mainly Staphylococcus aureus, Streptococcus pneumoniae, Streptococcus pyogenes, and Haemophilus influenzae. These pathogens readily invade the body because measles damages the normal body defenses. Secondary infections most commonly cause earaches and pneumonia. 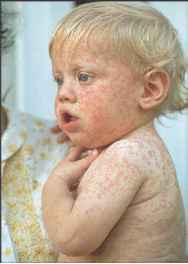 Figure 22.20 A Child with Measles (Rubeola) The rash is usually accompanied by fever, runny nose, and a bad cough. © Varicella-zoster virus is inhaled, infects nose and throat. © The virus infects nearby lymph nodes, reproduces, and seeds the bloodstream. @ Infection of other body cells occurs, resulting in showers of virions into the bloodstream. @ These virions cause successive crops of skin lesions, which evolve into blisters and crusts. 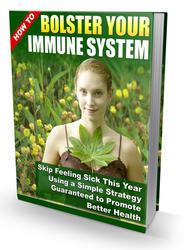 © Immune system eliminates the infection except for some virions inside the nerve cells. © If immunity wanes with age or other reason, the virus persisting in the nerve ganglia can infect the skin, causing herpes zoster. @ Transmission to others occurs from respiratory secretions and skin. In about 5% of cases, the rubeola virus itself causes pneumonia, with rapid breathing, shortness of breath, and dusky skin color from lack of adequate oxygen exchange in the lungs. Encephalitis, inflammatory disease of the brain, is another serious complication, marked by fever, headache, confusion, and seizures. This complication occurs in about one out of every 1,000 cases of measles. Permanent brain damage, with mental retardation, deafness, and epilepsy, commonly results from measles encephalitis. Measles that occurs during pregnancy results in an increased risk of miscarriage, premature labor, and low birth weight. Birth defects, however, are generally not seen. Figure 22.21 Koplik's Spots, Characteristic of Measles (Rubeola), Are Usually Transitory They resemble grains of salt on a red base. Rubeola virus is acquired by the respiratory route. It presumably replicates in the upper respiratory epithelium, spreads to lym-phoid tissue, and following further replication, eventually spreads to all parts of the body. Mucous membrane involvement is responsible for an important diagnostic sign, Koplik's spots (figure 22.21), which are usually best seen opposite the molars, located in the back part of the mouth. Koplik's spots look like grains of salt lying on an oral mucosa that is red and rough, resembling red sandpaper. Damage to the respiratory mucous membranes partly explains the markedly increased susceptibility of measles patients to secondary bacterial infections, especially infection of the middle ear and lung. Involvement of the intestinal epithelium may explain the diarrhea that sometimes occurs in measles and contributes to high measles death rates in impoverished countries. In the United States, deaths from measles occur in about one to two of every 1,000 cases, mainly from pneumonia and encephalitis. Humans are the only natural host of rubeola virus. Spread is by the respiratory route. Before vaccination became widespread in the 1960s, probably less than 1% of the population escaped infection with this highly contagious virus. Continued use of measles vaccine resulted in a progressive decline in cases, so that endemic measles no longer occurs in the United States. Small outbreaks of the disease, however, continue to be seen as a result of introductions from other countries. These outbreaks occur due to the presence of non-immune populations including (1) children too young to be vaccinated; (2) preschool children never vaccinated; (3) children and adults inadequately vaccinated; and (4) persons not vaccinated for religious or medical reasons. Worldwide, measles ranks among the leading causes of death and disability among the impoverished, where the mortality rate may reach 15% and secondary infections may reach 85%. Measles can be prevented by injecting an attenuated rubeola virus vaccine. 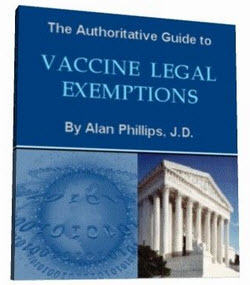 At the time of the introduction of the vaccine in the early 1960s, there were about 400,000 cases of the disease reported each year in the United States, probably representing one-tenth of the actual number of victims. At present, less than 100 are generally reported. In 1980 the worldwide incidence of rubeola was estimated to be 100 million with 5.8 million deaths. Globally, vaccination programs have lowered the number of cases dramatically since then. However, the decline in incidence has not been uniform among the different regions of the world (figure 22.22), largely due to wars and poverty, but substantial progress has been made, and complete elimination of measles is now a realistic goal. 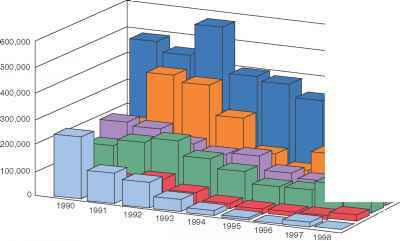 Figure 22.22 Reported Incidence of Measles in Different Regions of the World, 1990-1998 Reported cases represent only a small fraction of the total. The lack of progress in measles control in some regions reflects difficulties in delivering measles vaccine. © Airborne rubeola virus infects eyes and upper respiratory tract, then the lymph nodes in the region. © Virus enters the bloodstream and is carried to all parts of the body including the brain, lungs, and skin. © Skin cells infected with the rubeola virus are attacked by immune T cells, causing a generalized rash. @ Virus replicating in the lungs can cause pneumonia; the brain can also be infected. © In rare cases, virus persisting in the brain causes subacute sclerosing panencephalitis, months or years after the acute infection. © Secondary infection of the ears and lungs is common. @ Transmission is by respiratory secretions. Attenuated virus vaccine after age 12 months; second dose upon entering elementary school or at adolescence. No antiviral treatment available at present. The measles vaccine is usually given together with mumps and rubella vaccines, MMR. The first injection of vaccine is given near an infant's first birthday. Since 1989, a second injection of vaccine is given at entry into elementary school. 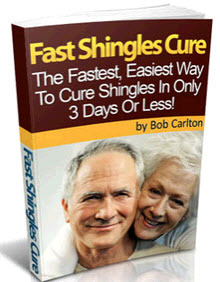 The two-dose regimen has resulted in at least 99% of the recipients becoming immune. In an epidemic, vaccine is given to babies as young as 6 months, who are then reimmunized before their second birthday. Students entering high school or college are advised to get a second dose of vaccine if they have not received one earlier. Those at special risk of acquiring rubeola, such as medical personnel, should be immunized regardless of age, unless they definitely have had measles or have laboratory proof of immunity. No antiviral treatment exists for rubeola at present. Some features of rubeola are summarized in table 22.10. What is the causative organism ofmeasles? What are causative agent of measles? What is the causative agent of Rubeola viral infection? What is the causitive agent of rubeola? What is paramyxovirus causative agent? What are the causative agent of Measles rubella and CRS? What is the causal agent of measles? What is the causative agent of mealses?